Reviewed by Juan Salcedo. Viewed at the 2017 AFI Film Festival. 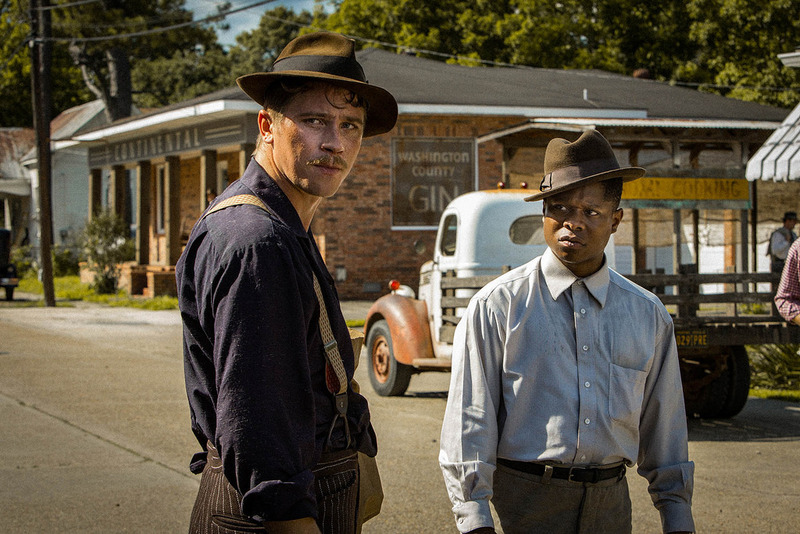 Mudbound is the touching story of two families who are forced to work together despite their racial differences. Henry McAllen(Jason Clarke) starts the story off when he first meets Laura(Carey Mulligan) who find interest in each other and they soon start a family. Henry’s brother, Jamie(Garrett Hedlund) who goes off to fight as a World War II pilot, returns home to find that the Ronsel(Jason Mitchell) had also gone off to fight in World War II as a tank fighter. Ronsel is the son of the other tenants on the ranch. The first half of the film is a bit slow and scattered although it works to introduce you to every character. There is a narration for nearly every character and throughout the first half of the film we immediately learn who we dislike and who we like. The narrative makes connections between the ones at war and the ones at home. By the end of the film you are left feeling empathetic for the protagonists because of the strong construction of the relationships and characters throughout the movie. This movie will rock your socks yo. Hey Juan! Going into Mudbound, I was not sure what to expect because of its status as a Netflix funded movie, however I was completely blown out of the water by this film. Seeing as this film took place in 1939, it does an outstanding job to reflect the racial divide and tension in Mississippi during these days. The lynching of Ronsel, who was a military service member on active duty, was horrific, yet the film had to include this to demonstrate the complete lack of consequences for the white supremacists, displaying how there is no hope to defeat their numbers, influence, and privilege. The scene that staggered me the most, however, is the very first scene in the movie. The son of the racist Pappy asks Ronsel’s family to help bury his father, and is met with contemptuous, frigid looks from Ronsels family. The reason is not fully understood, however the movie reveals that this scene occurred after Ronsel’s lynching, in which his tongue was severed, and Pappy was the leader of the lynching. In this regard, the son asking Ronsel’s family to assist in burying Pappy is reminiscent of the entitlement white members of society felt their race alone should experience, and also displays the pure ignorance and arrogance of the prejudiced, racist (white) citizens of Americas’s past. I wouldn’t be so quick to call Mudbound a “touching story”. This implies a feel-good plot with a happy ending and pretty bow tying it all together. Instead, Mudbound deals with the convoluted and disturbing history of racism in the United States. And that isn’t all: it also tackles war, substance abuse, and sexism. I think the way the movie begins and ends, with the lowering of Pappy into the ground, makes it pretty clear that these issue are still prevalent in society today. Because even after all is said and done, the white family still feels entitled to ask Ronsel for help in burying the very man who’s racism ruined his life. This is a metaphor for the burden of the black man literally never ending, even upon death of his abuser. So while Mudbound does show a white and black family working together, I question whether or not the story of these families is uplifting. Instead, I think the film points to a broken relationship that still is not fixed.